Keep your everyday look stylish with this chic top. 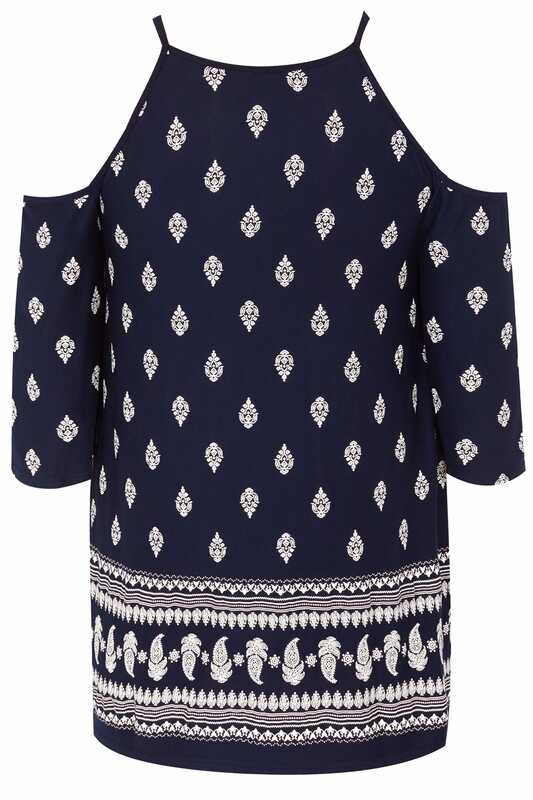 Made from a stretch jersey fabric, the on-trend cold shoulder style features 3/4 length sleeves and a front cut out. For an off-duty look, team with washed denim and slip-on flats. 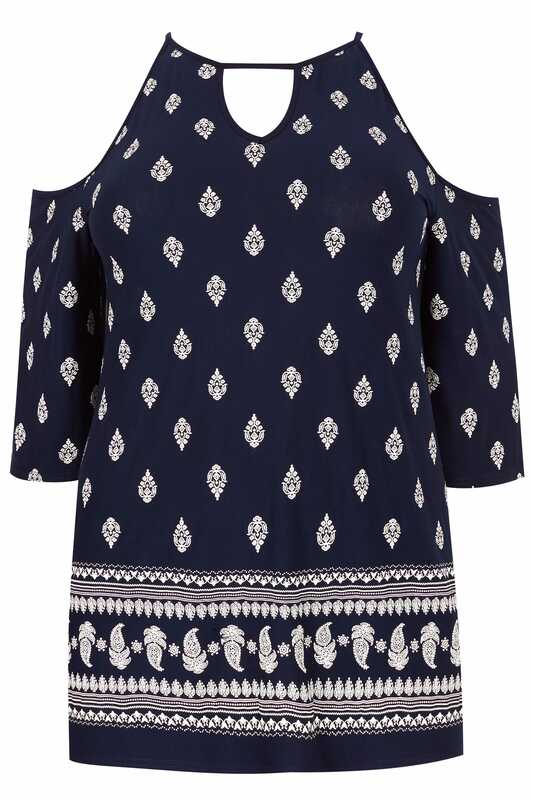 We are loving the navy hue and the border print.